Reading nutrition labels has become more misleading these days, with serving sizes confusing consumers into believing they’re eating less food,1http://www.foodsafetynews.com/2011/08/cspi-says-serving-sizes-mislead-consumers/#.Vfcu951Vikp while consumers struggle to identify the difference between organic and conventional produce. To clarify the difference of food labels and how to read organic, conventional and GMO produce, we have provided details on how to read labels and what to look for when shopping for produce. Do those PLU numbers really mean something on fruit and vegetable stickers? 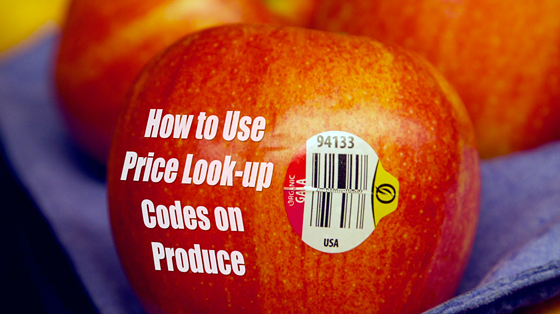 The PLU (price look up) code, is an effective system used by several produce distributors, benefiting consumers on how to identify conventional and organic produce at the grocery store. According to KQED, even though the defeat of Proposition 37 means that genetically engineered information will not be added to labels at this time, PLU codes do have the potential to identify genetically engineered produce. PLU codes are four digit numbers that identify different types of produce. For example, #4011 is the code for a standard yellow banana. The number 9 prefix added to a PLU signifies that an item is organic. For example, #94011 is the code for an organic yellow banana. A number 8 prefix added to a PLU signifies that an item is genetically engineered (GE). For example, #84011 is the code for a genetically engineered yellow banana. PLU codes and organic prefixes are in wide use but GE codes are seldom at best. Interested in learning more about your health and healthy “raw” recipes? Visit our Facebook, Twitter or Instagram page to view the latest from Medicinal Foods.